The 2014 GMC Yukon is a large size sport utility vehicle with loads of power, plenty of passenger and cargo room and an incredible towing ability. The vehicle is the perfect means of transportation for a large family. It is also ideal for business owners who need to transport hefty goods and equipment. Yet the 2014 GMC Yukon is not all about function over form. It has a beautiful and comfortable interior with plenty of fancy bells and whistles. This year's Yukon is sold in a standard edition, the Yukon XL trim and a very upscale Denali trim. The hybrid version of the Yukon is no longer manufactured but GMC has hinted that it might make a return at some point in the future. The exterior of the 2014 GMC Yukon is quite handsome. It has a macho aesthetic that is exemplified with a two box style that is common of big sport utility vehicles. This is a man's vehicle with incredible size, sharp angles, huge wheels that gleam and a honeycomb grille. It's not curvy, sleek or stylish. It is rugged and intimidating and that's a good thing. The interior of the vehicle has gorgeous chrome trim that compliments its soft Nuance style leather. High quality materials are used throughout the vehicle, giving the inside a broad appeal to many different demographics. The 2014 GMC Yukon drives as good as it looks. The vehicle accelerates in perfect proportion to the amount of pressure that the driver applies to the gas pedal. It also brakes with ample sensitivity. Maneuvering is easily performed through the vehicle's responsive steering wheel. Drivers feel as though they are steering a regular sized vehicle when controlling the Yukon. Simply put, it feels much lighter than it is. The 2014 GMC Yukon's engine is a monster. It's an 8 cylinder beast with 320 horses and 5.3 liters. This engine is tied to a 6 speed automatic transmission. Drivers who are looking for even more power than the Yukon's base engine can upgrade to the Yukon XL trim that boasts an 8 cylinder engine with an amazing 403 horses and 6.2 liters. The vehicle is loaded with standard safeguards like traction and stability control, a concierge system, an OnStar safety system and dual front airbags, side airbags and curtain airbags that cover all row occupants. Optional safety features are also available. These include parking sensors, a rear view camera and a blind spot detector. 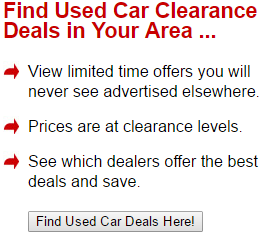 The vehicle also provides an amazing amount of visibility with its expansive windshield. The vehicle earned 5 stars from the National Highway Traffic Safety Administration for its performance in frontal impact and side impact crash tests. It was also awarded 4 stars during its roll over test. The 2014 GMC Yukon is loaded with luxurious standard amenities like Bluetooth connectivity, a USB port, AM/FM/CD audio and power windows, locks and doors and more. The upper Yukon XL and Yukon Denali trims offer even more bells and whistles like ventilated front seats, three zone climate control, power side steps, a sunroof, heated second row seats, Bose audio, remote start, a power lift gate, power adjustable pedals, DVD navigation along with other entertainment systems and much more. This year's Yukon has unbelievable power. Aside from its mammoth engine, it has a mind blowing towing capacity of 8,600 pounds. GMC didn't bring back the Yukon Hybrid for 2014, which is a disappointment to many drivers who had banked on the hybrid edition being available. Yet GMC representatives have left the door open for the Yukon Hybrid to return in the future. The 2014 GMC Yukon's fuel efficiency is a bit disappointing. It only achieves 15 miles per gallon in urban environments and 21 miles per gallon on the highway. These numbers worsen to 13 miles per gallon in cities and 18 miles per gallon on highways with the Yukon XL and Yukon Denali trims. 3. Perhaps It's A Bit Too Large? It's hard to find anything else that is bad about this year's Yukon. Critics like to point out that the Yukon XL trim is one of the longest vehicles on the market. This incredible size can make it a bit difficult to maneuver through tight urban areas. Sometimes it also proves difficult to fit this behemoth into a parking spot. The 2014 GMC Yukon has a bit of everything for all sorts of drivers, giving it a mass appeal that plenty of other large size sport utility vehicles lack. It doesn't compromise form for function and steps up to the plate with amazing durability, reliability and power. 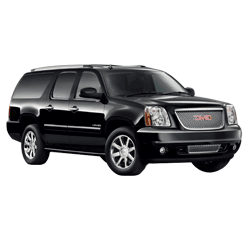 This rare combination of utility and esteemed style is hard to find in a large size sport utility vehicle, making the 2014 GMC Yukon one of the best in its class.